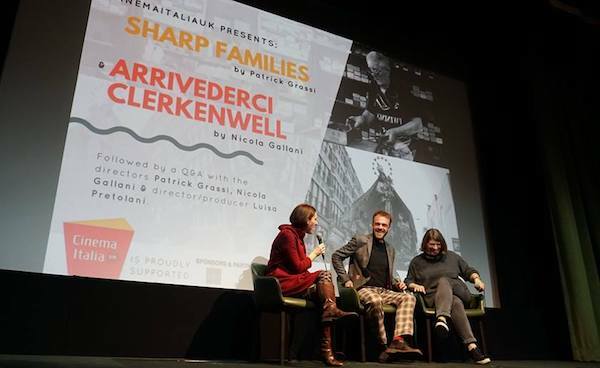 A double bill of new short documentaries shed fascinating light on the historic Italian community in London at a special screening organised by CinemaItaliaUK at the Regent Street Cinema last month. The opening titles of Arrivederci Clerkenwell directed by Nicola Gallani use delightful vintage graphics from fifty years ago and she has unearthed a wealth of marvellous archive footage of London’s own Little Italy, including scenes of street markets dating back to the silent era, and gorgeous colour film of the Italian restaurants, delicatessens, coffee and ice cream that have enriched our capital. “You could smell the lemons and see the ice cream tubs,’ recalls one of a charming parade of ‘Cockney Italians’ interviewed for the film about the still-thriving community they grew up in, while others remembered the taunts of English youths, a prejudice more deadly in World War II when Italians were cruelly refused entry to air raid shelters and Italians were rounded up for internment, even those born in Britain and those with family members serving in the British forces. Traditions were always maintained. 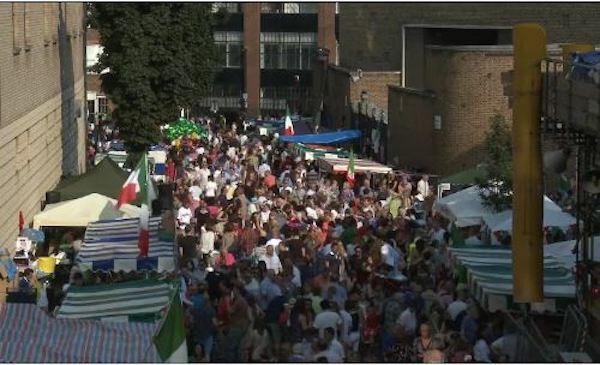 St. Peter’s Church and its annual procession and sagra street party features prominently in the film, then as now the centre of the community. After church everyone sat down to eat, “it didn’t matter if you were a gangster or a priest.” The film also visits two local businesses that have passed on their traditions to a new generation, Gazzano’s delicatessen and the enchanting Chiappa organ builders, who demonstrate their fairground and barrel organs and the perforated music boards they are played with; both businesses, like their community, resisting gentrification and the loss of these rich immigrant cultures that make London so special. Director Gallani is also Programme and Archive Manager at the British Film Institute and her expertise in vintage film combined perfectly with her passion for the history of the Italian community in London. She is now expanding this heritage project to make available all of the interviews and material that were sources for the film to those who share her fascination for her people and the marvellous diversity of our city. Patrick Grassi’s Sharp Families concentrates on a lesser-known community of Italian expatriate expertise, l’arrotino, knife grinders who originated in Val Rendena (Trentino) in the Dolomites, historical home of the craft, breathtaking images of which open the film. Cut to an autumn evening in London where the Grinders Association are talking blades. 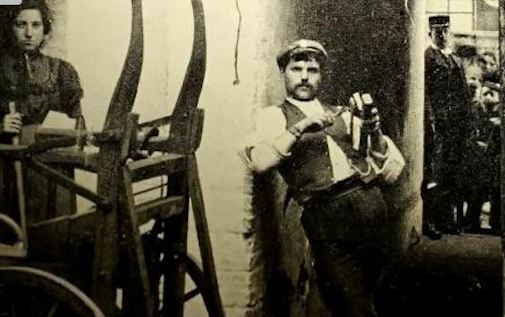 Times have moved on since Italians toured London with their grinding wheels and today the traditional craft, while still preserved, has evolved into a lucrative knife rental and sharpening service for restaurants all over the city. The film introduces us to two generations of knife grinders, the older born in the Dolomites, the younger born Londoners but proud of their Italian heritage. 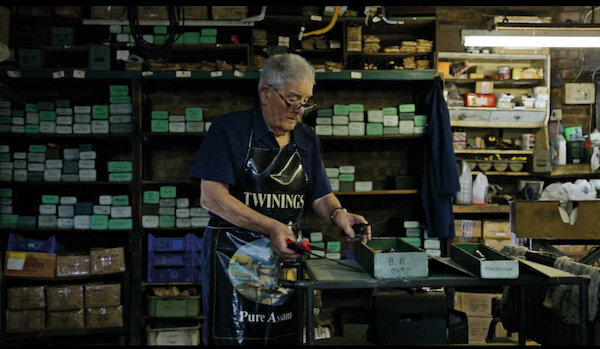 This pride and continuity are particularly moving in the relationship of Bernardo and Paul, the trusted nephew to whom he passed on his skills and his business. Such is their love for Val Rendena, “the most beautiful place in the world,” that they return to the mountain valley every summer and celebrate their bonds of friendship and trade with a polenta party. The film’s striking visuals are complemented by a terrific cutting-edge guitar soundtrack, and it follows a book, On the Edge of Emigration (Sul filo dell’emigrazione), in which director Grassi, himself from Trentino, has extended his several years’ research into the knife grinding community in greater depth and with additional characters. 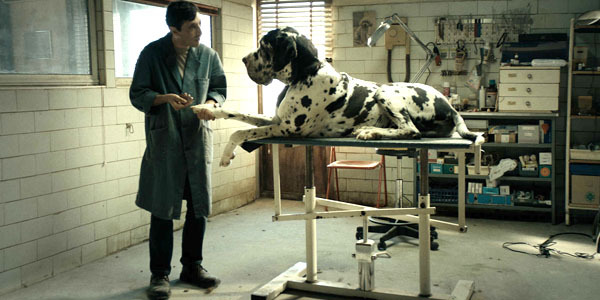 After successful screenings in the region he is now seeking further distribution for the film in Italy and worldwide. 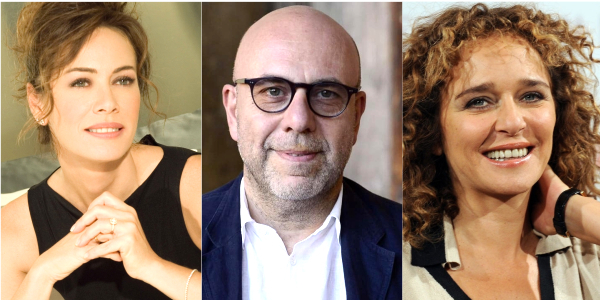 After the screening, at which many of the participants were also present, the film-makers discussed their work with the sold-out audience who also enjoyed Cinema Italia’s always generous hospitality.